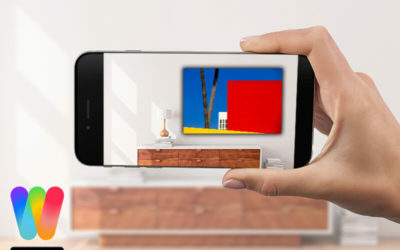 In our current exhibition, the works of Paul Eis was met with great interest among our visitors. 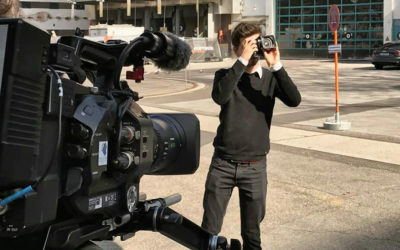 We want to take you behind the scenes of his creation and show you how Paul facilitates his unique images. 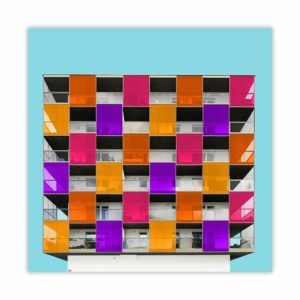 Paul is the only photographer in our portfolio who intervenes with his pictures in a more fundamental way. 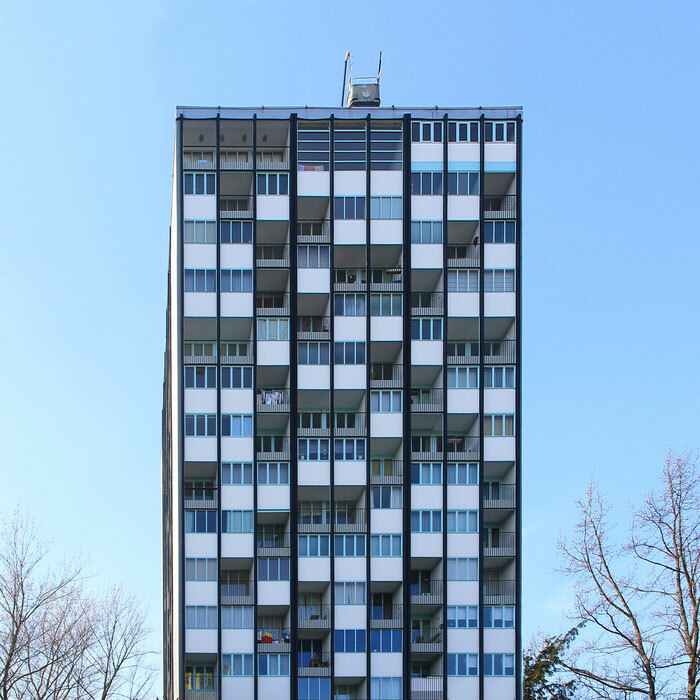 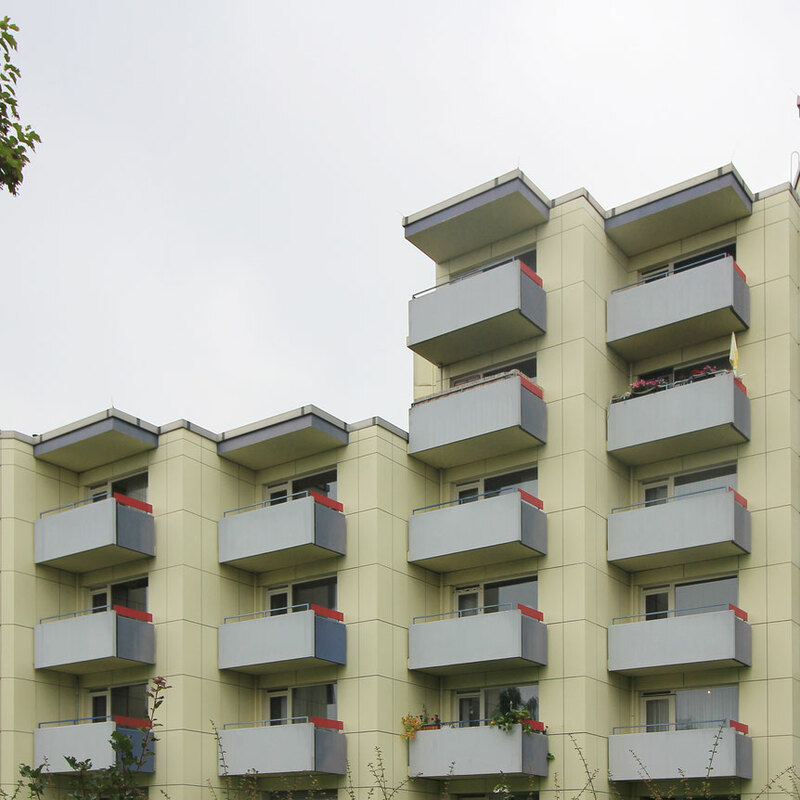 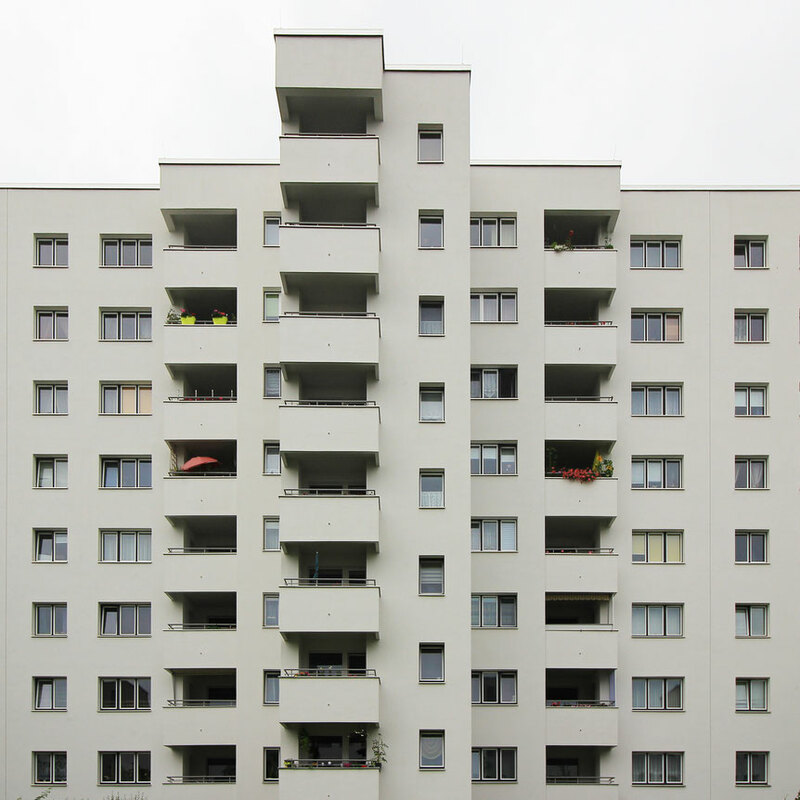 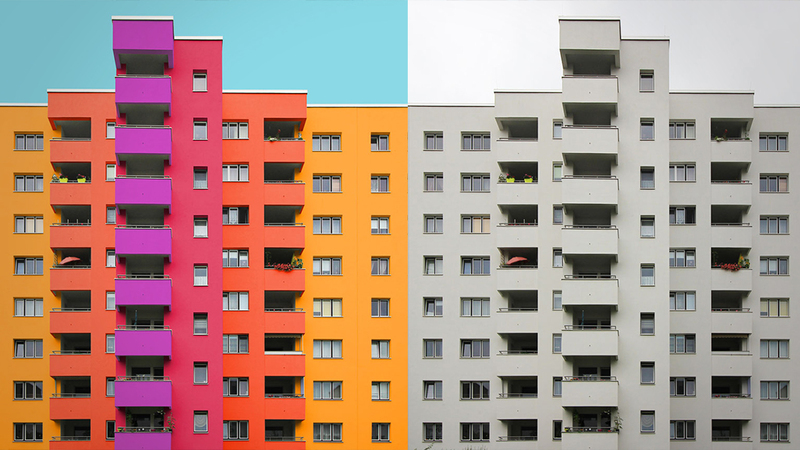 By explicitly coloring gray and mellow facades, he pleads for more color in the cities. 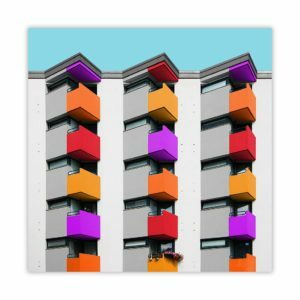 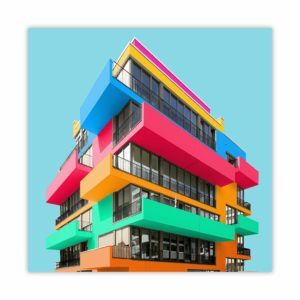 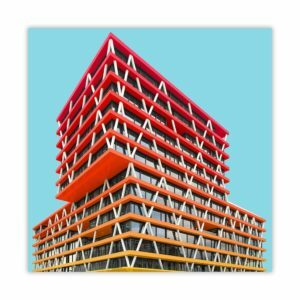 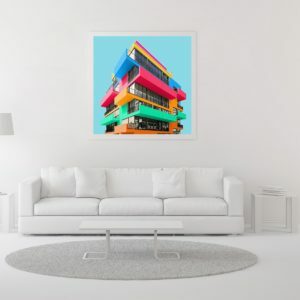 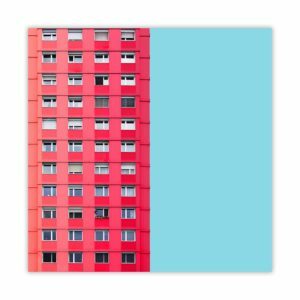 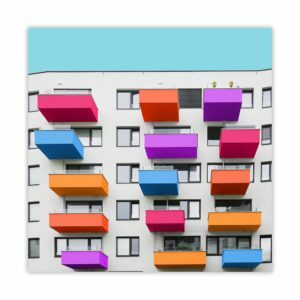 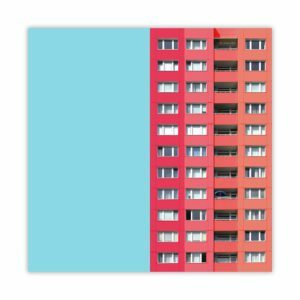 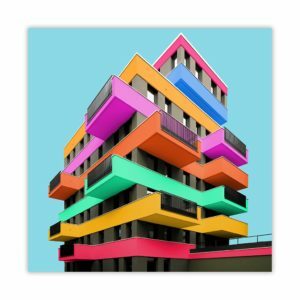 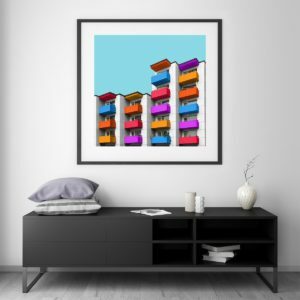 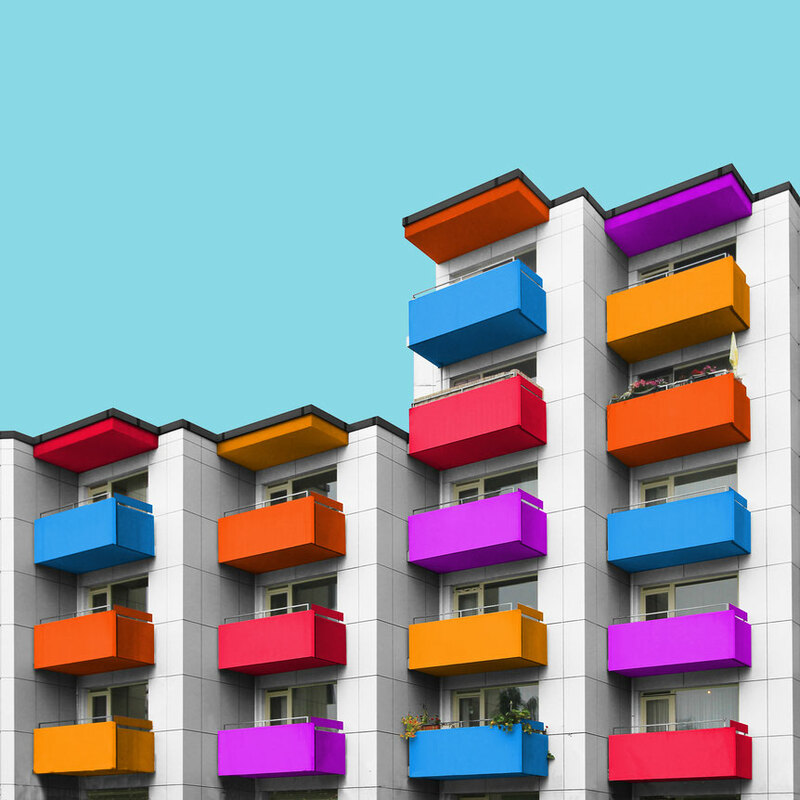 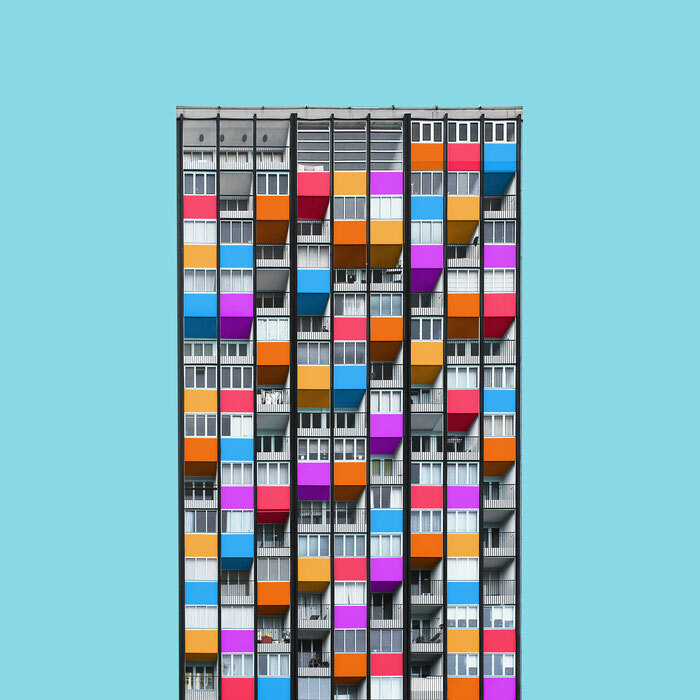 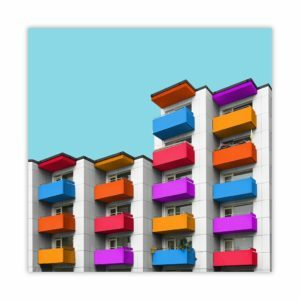 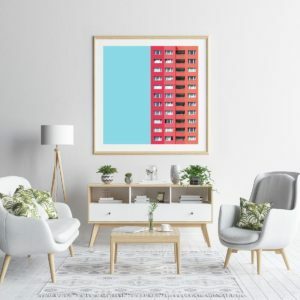 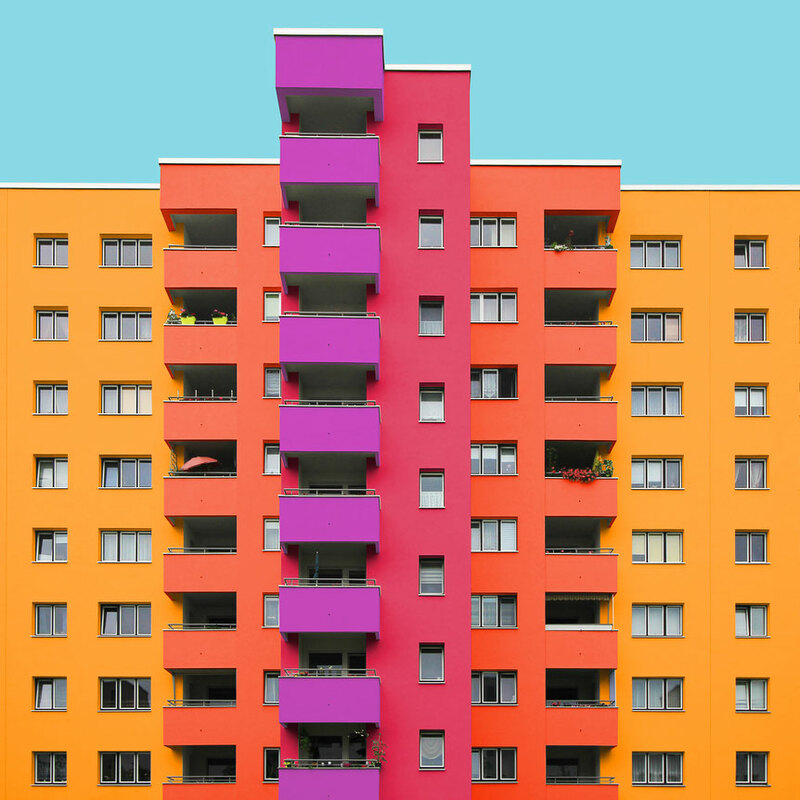 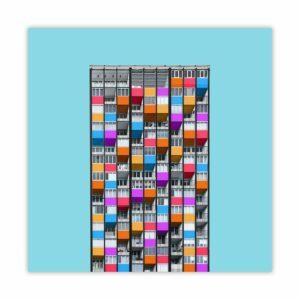 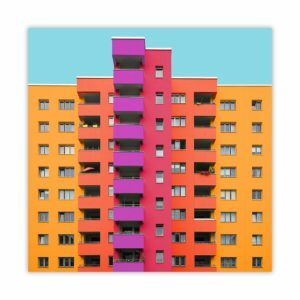 He photographs modern architecture and subsequently “paints” it in the editing process in bright colors afterwards. 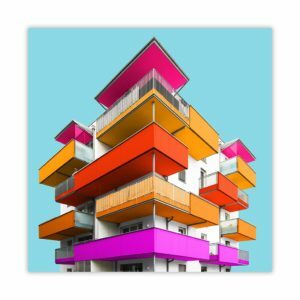 To do this, he uses the well-known image editing program Photoshop.